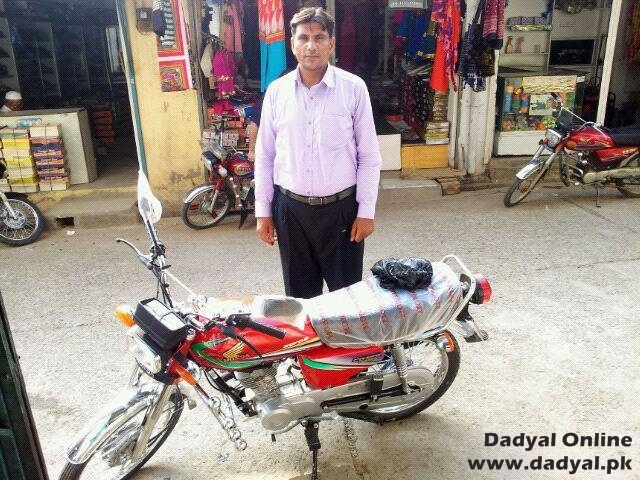 Dadyal (August 2012): Amjad Chughtai, Manager of Habib Bank Ratta won a 2012 Honda 125cc motorbike after winning a competition held by Ten Sports on TV. He answered a question via text message and won the prize in a lucky draw. Ten Sports sent the motorbike from Lahore to the Dadyal Honda bike showroom. Reported by Kaleem Chughtai of Dadyal Online.